Over the last three months, I’ve jumped into learning the in’s and out’s of Facebook ads to help grow the email list for our job board. Thankfully I had some key Facebook experts from the community help along the way but that didn’t prevent me from making some mistakes. Today I’m sharing 5 big mistakes and one very important lesson I learned along the way. Welcome to “The eCommerceFuel Podcast,” the show dedicated to helping seven-figure-plus store owners build incredible businesses and amazing lives. I’m your host, Andrew Youderian. Thanks so much for listening. Good to have you with me. And on the show today, we’re gonna be talking about the five big mistakes and lessons I learned jumping into the deep end of the Facebook advertising pool. A lot of you listening I’m sure are running Facebook ads. It’s one of, you know, the biggest traffic channels out there right now. I have never really meaningfully, you know, gone deep on this channel. I’m much more traditionally of an organic guy, an SEO guy, content marketing guy, email marketing, that kind of stuff. The last two, three months I’ve really jumped into Facebook ads to learn them to grow the email list for our job board, to really build up the list of job seekers, and learned a lot, and made some pretty good mistakes along the way. So, I had a couple of people much smarter than me who I’ll mention later, dive in, give me some feedback, and I wanna report back on some of the things I learned, and changes I’ll be making. 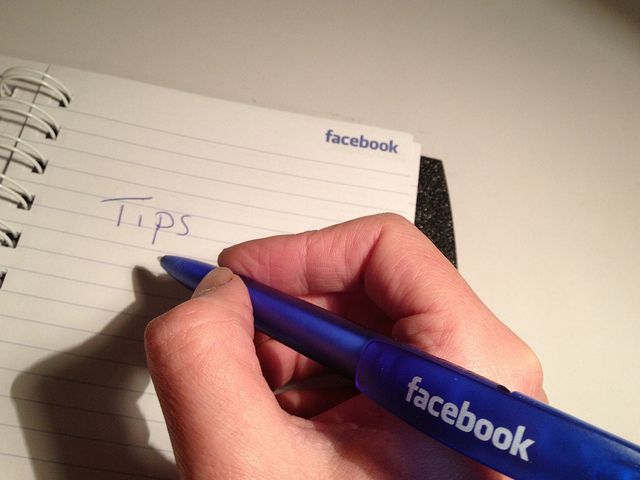 So, if you’re brand new to Facebook ads, this will be particularly helpful. And hopefully, if you run a few ads, you’ll grab at least one or two lessons from the blunders I made as well that can help you optimize and increase your return on ad spend. Quickly, before we jump in to the episode though, I wanna give a big thank you to our two sponsors. First, Klaviyo, who makes email marketing automation incredibly easy and powerful. It’s not too late to catch their September 13th and 14th event in Boston. They’ve got reps from Shopify-Plus, Google, Send Grid, and more to help you grow your business faster with email. You can learn more and sign up for the event at ecommercefuel.com/boston-event, and you can use the coupon code “eCommerceFuel” to get a discount off your ticket. And secondly, thank you to Liquid Web, the absolute best place online to host your WooCommerce store if uptime and speed are important to you. One cool thing with Liquid Web, they’ve got a partnership with Glue.io, a very interesting analytics company out of Charlotte, North Carolina. Bill D’Alessandro, a good friend of the show, a good friend of mine, put them on my radar recently. And they can give you some cool metrics partnered up with your Woo store on Liquid Web. Instead of looking at numbers like, you know, just looking at data and going back to normal life, you get actual data, like you can understand which products are making you the most money versus, you know, just the top line revenue, calculating lifetime value of your customers, even recommending what products to potentially bundle together. A cool little…just one of the many integrations and partnerships Liquid Web has to help you make your WooCommerce store more effective. So, if you wanna learn more about them and how to make your WooCommerce store really shine, ecommercefuel.com/liquidweb. All right, let’s go ahead and get into today’s episode. So, before jumping in two big thanks are in order. First, thank you to Mike Jackness, who sat me down as a total Facebook noob and walk me through some high level strategy things, gave me some pointers on how to get campaign started and get it going. So, Mike, thank you. And secondly, to Miracle Wanzo, our resident Facebook expert in the eCommerceFuel forums. Took a look at, was kind enough to offer to look at my campaigns after I’ve been running them for a little while, and who largely a lot of this episode, these mistakes, are based off. She ripped my campaigns apart in the best possible way, and I learned a ton from her. So, I thank you to both you guys. I really appreciate your help. Yeah, you’re just, you know, you’re a lot smarter than me at this, and have been willing to share some of the wisdom, so thank you. So, mistake number one that I made as a Facebook newbie was using the same ad across all of my campaigns. So, I had a lot of different campaigns that were focused on different audiences, or focused on different delivery platforms, things like that. And I went through, and to try to minimize the number of variables, I kept the same ad copy, the same picture for the most part, and recreated that across, you know, half a dozen different campaigns. And the problem with that, I was told, and I quickly learned, was that if you do that, you break up all of the social proof from that one ad. So, if you have engagements, or comments, or likes, and you reuse the same ad across your different campaigns that you’re running, you know, that social proof compounds and it can be used across all of them. If you create a brand new version of the same ad every time, you lose all of that. So, that was a big mistake I made. Going forward, I’m not gonna split the social proof, I’ll keep it all in one. So, use the same ad across all of your campaigns. Mistake number two that I made was I used campaign level budgeting versus ad level budgeting. And I tried to run the placements, tried to test the placements myself. So, on a bunch of my campaigns I created an ad for that was, the same ad that was targeting Instagram, that was targeting Messenger, that was targeting the desktop feed, etc., etc. And I was trying to optimize delivery myself, and I was also setting the ad level, excuse me, the spending level at the ad level itself on the individual ad. And what I learned was that Facebook’s way better than I am at optimizing the stuff, surprise, surprise, right? Like, if you have something called campaign level budgeting, I’m not sure this is available on all accounts but I think it depends on a couple of things. But you have it, you can set the campaign, what you wanna spend at the high level on your campaign and Facebook will distribute it in the smartest way possible across your different ad sets in the way that’s gonna maximize your results. So, they’ll look at how they’re performing, they’ll also look at some of their, I’m guessing some of the AI data, not AI data, machine learning data, understanding what performs best may be at better times. I’m not sure what goes into their magic sauce, of course. You tend to get better results, it sounds like, if you use the campaign level budgeting versus the ad level, and let Facebook distribute your ads in a way that makes sense versus trying to manually do that. So, that was the second thing I did. And that’s not really a bad solution, but Facebook is, you know, it’s not a search-based network, it is a browsing-based networking, and you’re interrupting people’s flows. And so when Miracle jumped in and looked at my dashboard, one of the first thing she saw was my CPM, which stands for cost for a million, not a million, it would cost me for 1,000 impressions, was really high. I think they were like $30-plus, which, apparently, is pretty high in the Facebook world. And it became apparent, when she looked at my ad copy, what the problem was. And I wasn’t thinking about trying to create a Facebook ad or some kind of post that engaged with people, they were static images, they were calls to action. They weren’t, you know, they weren’t getting any engagement. And in Facebook’s algorithm, the more engagement that you get, the more comments, the more likes, the more people are interested in what you have, the cheaper it’s gonna be to show that to everyone in their feed. Effectively, your cost, you know, your CPM is gonna go down. And so that’s something that we’re, definitely gonna be going forward, changing our approach there. And to be honest, that was something that I think it’s still something that’s a little bit of an art to try to, like any advertising, but trying to write an engaging ad that gets people to draw in to your content but also leads them down the path to convert, or potentially just be able to pixel them and retarget them later. I’ve got a lot to learn there, there are a lot of smarter people than me that you can learn from, from that. But that was my mistake, was trying to…more of the direct response, short form, search query based ads versus the ads that are intended to engage, hook people in, and then you can follow up with them later. Number four, the fourth mistake I made was not customizing my dashboard. I was using the stock dashboard, which had a lot of, you know, just not that helpful information, shockingly. It didn’t have metrics like click through rates, CPMs, CPCs, stands for cost-per-click, the frequency, which is the average number of times people are seeing your ad, a number of link clicks, a bunch of other metrics that just once Miracle got in there and showed me, you know, “Hey, you really need to customize this dashboard to be more useful,” I quickly saw the benefit. And it gave so much more insight into which ads were working well and the cost-per-ad stats, and things like that. So, you can go to, it’s pretty easy, but if you don’t know, in your Ad Manager, on the columns dropdown, go to “customize columns,” you can save your own column layout to give you way more information. So, mistake number four I made, and that you shouldn’t make, if you haven’t done this yet, go and customize your reporting dashboard. You’ll get way better results and way better insights into your ad sets. And some great advice I got was you don’t always know, unless you see a certain audience underperform multiple times, don’t just assume it’s terrible. Obviously, you know, you’ve got to temper this a little bit. You don’t wanna just, you know…You can waste a lot of money trying to get more squeeze out of a dry lemon, but I think I was a little quick to write off audiences. Maybe, perhaps, you know, there was something going on with that demographic that week that I wasn’t aware of. Or maybe it was just a bad delivery time. Or maybe my certain ad copy didn’t resonate perfectly with them. So, I was writing off, the advice I got was make sure you see multiple instances of where an audience is significantly underperforming before you completely write them off. Not to say you can’t allocate a little more budget to audiences that start to perform better, but don’t completely write them off just because they underperform once. Make sure you see it multiple times. So, I know I said five, but the sixth one that I had here, it wasn’t really a mistake I made, but more of a lesson. And that was I was thinking about Facebook and targeting very much from using my pixel, the insights that I had from my audience, and also some kind of some interest or demographic data that Facebook had. So, maybe I created my custom audiences that included people who had visited my website, have visited the job boards, and people who also were maybe let’s say interested in ecommerce and in a certain range of, you know, certain age range, say like 20-65, something like that. And an audience I wasn’t really thinking of was creating behavior on audiences based on very specific actions on my website. So yeah, visitors, but even more so, thinking about people who maybe take very micro actions. Maybe sign up for a job, or maybe they have come through and visited five ads in the digital marketing space. And granted, these audiences are gonna take a lot longer to build up, but they’re huge assets. If you can build one of these audiences up over let’s say, you know, a six-month period, you can create a hyper targeted audience that Facebook probably isn’t gonna give you the demographics for, and that you can use to create some really powerful look-like audiences to hyper-target other people on a macro scale that is gonna be a massive competitive advantage. So, I wasn’t thinking about that long game as much in terms of building up those audiences. Also for retargeting too, if you wanna be able to do that, to retarget those people back. That’s the more obvious. But the hyper-targeting on a micro audience side I thought was interesting. So, if you’re thinking about it like I was in more of a narrow fashion, just, you know, visitors to your website, or, you know, using Facebook’s demographic information, think that third option. Think, what are some of the really hyper, super specific actions that people are taking on your website in terms of the content they look at, what they’re engaging with, that you’re not gonna build a huge audience, but maybe over time you can build up a really big list that can help you create some incredibly specific look-like audiences at scale. So, those are my six mistakes, just again, real quickly in summary. Use the same ad across all of your campaigns, one. Use campaign level budgeting instead of trying to set it at the ad level and outsmart Facebook. You’re probably not smarter than Facebook’s placement algorithm. Number three, make sure you’re writing ads with a high focus towards engagement not just direct response marketing. Number four, customize your dashboard. Number five, don’t write off certain audiences or demographics unless you see them underperform at least multiple times. And six, think about some of the very focused audiences you can create based around very specific actions, even if they take a long time to build up. So, again, think you, Mike, thank you, Miracle. I really appreciated you guys’ help as I’m pushing away from the dock here as a total noob in the Facebook world. But I hope it was helpful to you, definitely will be changing the way that I do a lot of things in ad manager. And before wrapping things up here, I’m gonna do something that is maybe a little self-indulgent but it’s, you know, what the heck? I’m gonna do it anyway. Feel free to drop off if I bore you. But I’m gonna run myself through the new lightning round that I’ve been asking guests about recently. So, what’s something I’ve changed my mind about recently? I would say, I read a book these last probably three months. I imagine a lot of people probably have this, called, “How to Change Your Mind,” by Michael Pollan, talking all about psychedelics, things like LSD, this whole category of drugs. And for a, you know, pre-book, I would have thought, you know, I would have lumped all those psychedelics in the same category as things like heroin and cocaine and methamphetamine. And not to say I’m ready to go out and, you know, munch magic mushrooms, but it was an interesting perspective shift on some of the potentially, you know, the ways that those can be used for treating mental health that I thought were interesting. So, that would be something I changed my mind about. What are you currently spending too much money on? I would probably say my VW van. It is a money pit, and it just consumes massive amounts of money. What’s something you’re not spending enough money on? I’d probably see jeans. Up until two weeks ago, I only had one pair of jeans that did not have holes in them, and I hadn’t bought new jeans in probably at least two years. Finally remedied that because it was getting difficult to go out in public. But yeah, probably jeans. Need to spend more money on jeans and clothes in general. What’s one of the top three items on your bucket list? Something you wanna do before you die. I would love to either drive or ride a horse across Mongolia before I die. It seems like a cool place. It sounds like there’s a lot of still fairly nomadic people that they’re just gonna live out of yatchs and ride around on horses in Mongolia. And I’m sure I’m romanticizing it more than it is, but I met people from Mongolia, and it sounds like a really fun adventure. And then finally, if you had a tattoo on your arm, what would it say that, you know, a tattoo people could see on a daily basis and you’d have to look at? I’d probably write something along the lines of don’t compare, or don’t compare yourself. I think comparing yourself to other people, to other people’s lives and accomplishments is like one of the most toxic things you can do, especially when you do it so selectively. We are great at comparing our, you know, our best work to other people’s best work, but without any kind of consideration about what they sacrificed to get there, how other parts of their life are. And I think apart from just that, apart from being a flawed way of, you know, see you’re never comparing apples to apples, it’s just, it robs people from the, it’s a joy thief. So, that’s what I would put on my arm. Hope that helped on the Facebook front. So, head forth, try not to make the mistakes that I made. And again, Miracle and Mike, thank you so much. That’s gonna do it for this week’s episode, but if you enjoyed what you heard and are interested in getting plugged into a dynamic community of experienced store owners, check us out at ecommercefuel.com. eCommerceFuel is the private vetted community for ecommerce entrepreneurs. And what makes us different is that we really heavily vet everyone that is a member to make sure that they’re a great fit, that they can add value to a broader community. And also, I have to think our two sponsors that make the show possible. Liquid Web, if you are on WooCommerce or you’re thinking about getting onto WooCommerce, Liquid Web is who you should have host your store, particularly with their managed WooCommerce hosting. It’s highly elastic and scalable, it’s got built-in tools to performance test your store so you can be confident it’s gonna work well, and it’s built from the ground up for WooCommerce. And finally, Klaviyo, for email marketing. They make email segmentation easy and powerful. They integrate with just about every card out there, and help you build incredibly automated powerful segments that make you money on autopilot. You can check them out and get started for free at klaviyo.com. Thanks so much for listening, and looking forward to seeing you again next Friday. This was very interesting article to read, as it may help many others and prevent from making same mistakes. I’m also runnignads for a company named truegether.com and now I will definitely remember your points.